The US extended its leading position with 55 companies this year, up from 54 last year. The US share by market capitalisation increased slightly to 63% (an increase of $1,292bn). All companies in the Top 10 are US companies. 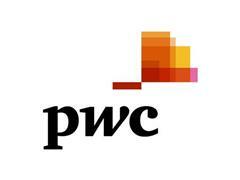 The market capitalisation of the 100 largest companies globally increased significantly by $1,861bn or 12% compared to 31 March 2016, according to PwC’s Global Top 100 ranking, released today. This increase more than reversed the dip in 2016 and is the highest value on record. Nearly 70% of the growth was contributed by the US companies, on the back of strong economic conditions pre and post US elections. Europe managed to arrest two years of value decline but its share continued to decrease proportionately. For a third year now, the US accounts for more than half of the Top 100 (55 companies) and weighs in with 63% of the overall market capitalisation. Apple was the strongest performer this year (in absolute terms), gaining $149bn or more than 25% in value compared to 2016. This was closely followed by Amazon, which increased its market capitalisation by more than 50% in 2017. Facebook, Bank of America and JPMorgan Chase have all powered the US growth. Apple retains pole position for the 6th year in a row, and this year again clearly pulled ahead of the second ranked Alphabet, managing to double the valuation gap to $175bn from $86bn last year. Alphabet briefly dethroned Apple in February 2016. It is particularly remarkable as Apple also returned more cash to shareholders, with another $29bn handed back to investors in dividends and share repurchases in calendar year 2016 ($42bn was distributed in calendar 2015). Alphabet only returned $4bn in 2016. European companies have never fully recovered from the financial crisis and have seen spikes and troughs of volatility over the last decade. Europe now accounts for just 22 companies (down 9 compared to 2009 and down 19 compared to 2008), and only 17% of the overall market capitalisation (down from 36% in 2008). While Europe managed to arrest further decline, the value of its companies remains below 2013-2015 and 2010-2011 years. China/Hong Kong total market capitalisation increased by 14% compared to last year, with 11 companies in the Top 100 (unchanged from 2016) - as Chinese markets regained some confidence in 2016. Tencent was the top Chinese performer this year, having increased its value by 42% to $272bn since 2016. Tencent and Alibaba are currently ranked at number 11 and 12, being on the brink of entering Global Top 10. “The gap between the US largest companies and the rest of the world continues to widen. US companies are exploiting their global reach, financial strength and ability to innovate, - a sharp contrast to those in the UK and Europe, which continue to fall behind in the rankings. Global Top 100 analyses the Top 100 global companies by market capitalisation and compares how the list evolves year-on-year. We analyse trends to understand the impact of external political and economic events and identify the risers and the fallers, look at sector dynamics and present a view on how the global landscape has changed. This analysis was conducted as at 31 March 2017 and 31 March 2016 and captures companies market cap in US$, based on their country of origin. All market data is sourced from Bloomberg and has not been independently verified by PricewaterhouseCoopers LLP.